I'm a proud dog owner today!! 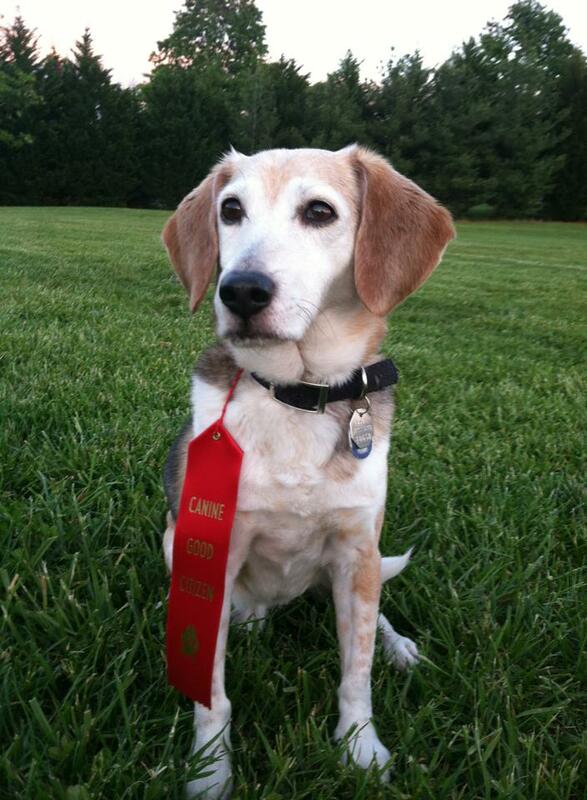 I took my old (13 in June) beagle Kito to participate in a Canine Good Citizen test tonight and he PASSED! It is an AKC program and if your dog is AKC registered then you can add the CGC title to their registry. There are 10 different items in the test including meeting strangers, dealing with distractions and applying the sit and down commands. I'm so proud of him for passing! He's such a good, well mannered dog but I was mostly worried about him not laying down on command because that one is pretty new to him! He knows "go lay down" but just "lay down" has been a challenge for him and so I never even taught him until recently. Next step, Therapy Dogs International certification! !